We believe that student achievement is directly affected by the professional learning culture we create. 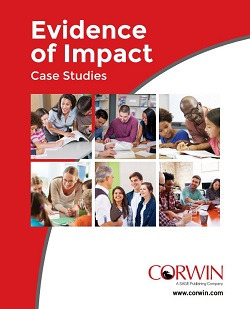 Thanks to John Hattie’s Visible Learning research, we know that educators—people who impact nearly every teacher and student initiative in your school and district—MUST be adept in leveraging these high effect-size practices to create the greatest impact on student achievement. It requires intentional strategy that is supported by three key elements: Culture, Clarity, and Collaboration. Does your professional learning program encompass these features? If not, what are your next steps for building a plan like this in your school or district? 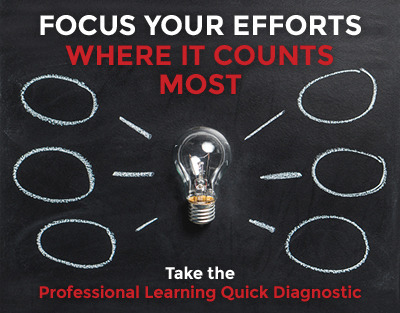 Our PLP guide will help you identify areas where you can build upon current PD and what types of evidence-based programs can help you fill in the gaps. Once you complete the diagnostic, you should receive a brief analysis, followed by a more comprehensive report based on your individual school or district's needs. You care about evidence-based PD. We do too. Find out what it's like to work with Corwin as you strive for excellence every day. Learn about our theory of change and how we partner with schools like yours.